“Write your plans in pencil, and give the eraser to God.” That’s today’s FB status. I use my status as a declaration--my plea to the Universe, a statement of intentionality, a prayer for all my FB peeps (not that large a circle, I’m a rather private person.). On this day, I am asking to be empty. I am intentional about not having a plan. I only want to be open. What may happen, what might happen, is, as always, entirely up to God. What makes today different is that instead of relying upon my own creativity, strength, drive, or fortitude, I go quietly. I go gently. I may gain an appreciation only of the beauty of acquiescence, but that too is a lesson. I spend so much of my life running to, planning for, anticipating what should, or might be. 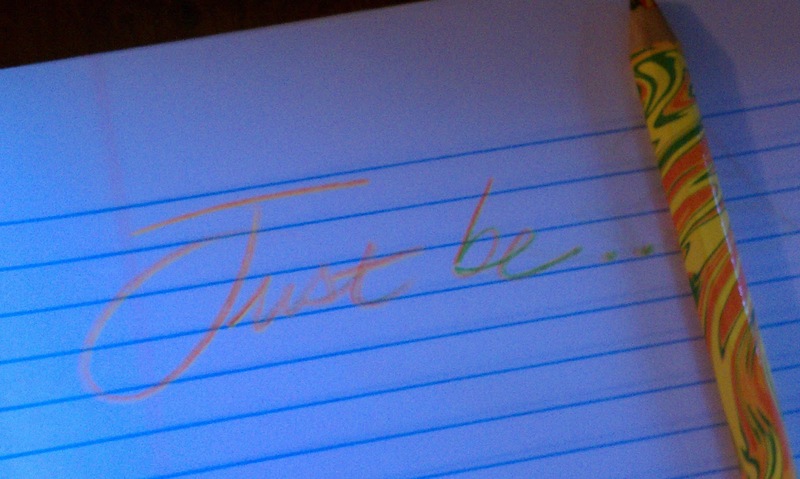 Today, I am writing only my intention in pencil, at the top of the page, and putting the pencil down. The rest, Lord, is up to You. Knowing that my page and my cup will be filled to overflowing by the time I rest my head on my pillow is today’s little miracle…today’s reminder that God is good. OH, this gave me chills. I love this letting go. The focus on it is just inspirational. Have fun doing so! We also thought of you when we published our pay it forward Friday post today. There's a little freebie there that you can share with others to help them see beautiful! Feel free to come and play and share...without your pencil. I love that. Write your plans in pencil. Good stuff. How neat! Write your plans in pencil -- what a great way to think about it. Sharing this wisdom with my son, a high school senior!